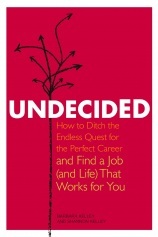 The aspect of Undecided that most interests me is that it was written by a mother and daughter duo: Barbara Kelley, who’s a professor of journalism at Santa Clara University, and her daughter Shannon, who writes for the Santa Barbara Independent and is also a freelancer and corporate consultant. While Barbara is of the baby boomer generation, Shannon represents the youthful, upwardly aspiring audience that the book is aimed toward, giving the book a sort of dual nature–Undecided eloquently describes the hard, painful choices women still have to make in their work lives from the perspective of someone who has lived through the much tougher, sexist environment of the 1970s and yet the interviews with contemporary women are … well, representative of their generation in the sense that they came off as a little glib, shallow and hard for me to identify with. This doesn’t ruin the book because the Kelley’s overview, their analysis of where contemporary women are in their lives and how challenging they are finding it to make life choices, is so skillfully and perceptively done. In other words, the book offers a lucidly feminist analysis of a whole generation which views itself as having transcended feminism–which is interesting territory, indeed. The Kelleys see the constant dissatisfaction of this generation expressed as commitmentphobia. One interviewee says, “My biggest problem is that if I don’t like something, I walk.” What a strange attitude to have! If our grandmother’s generation had no options, and our mother’s generation had limited, lousy options, the generation that calls itself Gen X, of which I’m one, came of age and into the job market in the recession of the early ’90s, where you were lucky to get anything. We didn’t in the least feel entitled to have it all, and in fact the divorces and family dysfunctions with which we were raised in the ’70s pretty much ensured that we entered our twenties feeling a sense of scarcity, insecurity and narrowed options. The job world we moved into wasn’t great, and offered us lots of work for low pay. I remember being quite surprised when instead of any pressure or encouragement from my family, a middle-aged woman friend in my first long-term workplace urged my to finish up my master’s degree, saying it would help increase my career options. Did it really matter that much? I thought. I couldn’t conceive that it mattered to what I thought of as a dead-end career, but finished it anyway. Reading this book, then, about women just a few years younger than me but with such a different worldview made me feel a sense of sadness at times, but also aware that I’ve been able to enjoy the simpler pleasures of life in a way that it seems like this generation can’t. The Kelleys tackle the notion of happiness head on, repeatedly making the connection between more options and less happiness. “In our modern, interconnected, always-on world, is all of this choice–or maybe more importantly this illusion of limitless, constantly available choice–the modern person’s dilemma?” they ask. “And does it mess with our heads in every realm?” Obviously, yeah–and the Kelleys describe a generation that can’t commit either to jobs or relationships, that always wants to keep the door, or their options, open. It’s important to stress that the Kelleys do this in a way that isn’t blaming or judgmental. They describe a generation that is driven, terrified to fail, and needing to see themselves as perfect and able to “do it all” at all times. Of course, exhaustion and anxiety accompany these choices. In fact, the Kelleys take on the most important career conflict in women’s lives–having kids–with some depth. Basically, they repeatedly say, you can’t have it all, both kids and a killer career. While many women see this issue as their own personal failure to cope, the Kelleys say it’s societal: The culture of the modern workplace just doesn’t give a fair deal to working mothers. The Kelleys quote astonishing figures. Did you know that working women in America lose, on average, $431,000 over a forty-year career because of pay inequities between women and men? And women who leave the workplace to have kids never catch up. No wonder that an influential 2009 study found that women are unhappier than men, growing less happy as we age. Thirty-five years ago, the opposite was true. But then, 35 years ago, women had stable female friendships, less chance of divorce, new horizons opening up, and weren’t expected to compete with men in the office. 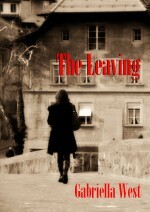 Gabriella West’s latest novel is The Leaving, now available on Smashwords and Kindle. This entry was posted in Reviews and tagged Barbara Kelley, feminism, Millennial Generation, Shannon Kelley, Undecided. Bookmark the permalink. Thanks, Barbara! Wishing the book much success.